A British hospital has unveiled the nation’s first hospital “bouncer” nurses to redirect non-urgent patients away from emergency rooms — and the initiative has already reduced waiting times dramatically. so they can immediately assess patients when they arrive. They can then decide if they are in genuine need of urgent care — and if not, the nurses can then redirect the patients to their pharmacies or general practitioners. The initiative at the Royal Bournemouth Hospital is aimed at cutting waiting times for overstretched emergency room departments, and it has already made a dramatic difference. Known as “clinical streaming”, the procedure is always carried out by a trained clinician. Furthermore, it operates under the strict policy that no one is sent home, only redirected to other professionals. Streaming nurse Deborah Thompson is waiting at the door to greet patients before they even get to the receptionist so she can ask a few basic questions and tell the patient where they should go. Meanwhile in other parts of the country, the pressure on emergency departments is ramping up, says The Royal College of Emergency Medicine — and senior A&E doctors are warning that hospitals are teetering on the edge of safety. 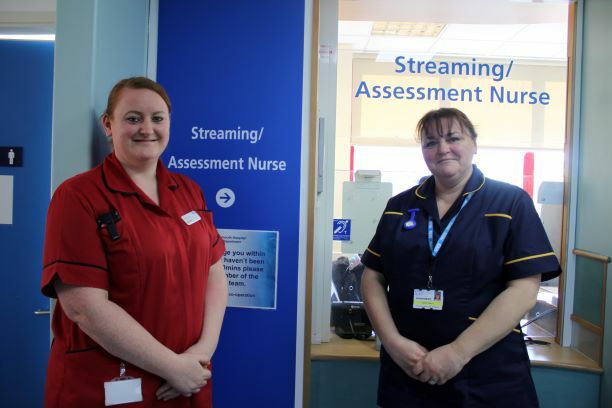 Tracey Turley, another streaming assessment nurse practitioner in Bournemouth, said: “An ED streaming service is not a new concept, but it is one that the Trust has seen a great deal of benefit from. Well done to the NHS. I hope the idea catches on! A&E departments are really under a lot of pressure. By having Nurse Practitioners on hand to re-direct people if necessary – in time it will hopefully educate people properly as to what is classified as an emergency and what is not, what can be treated by a GP/Pharmacist or self-treat. I have found dialling 111 very useful too after GP closing times. E.g. Getting bitten by a field mouse – staff manning the 111 line directed me to an out of hours surgery for a tetanus injection. Another time they advised me to go to hospital – when I described a large deep cut I had sustained – it did need stitches, not just a plaster to hold it together.